Love is magical, love is sweet, love is bliss, love is a tango, and a tango is for two. In a relationship, there are ups and down, laugh and tear and most times we wonder why love is so ‘’cruel’’. Most times we don’t know how the trouble started, who shouted first, who broke the promise or who is not just into it. As I said earlier, it takes two to tango. Love is not just a dance for one if you want both parties to be happy, you need to put extra effort into your relationship if you want to get the best out of it. 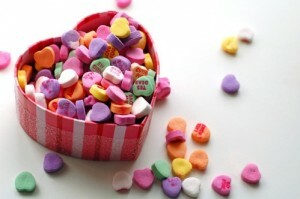 Here are some love pills you need to take to ensure a stress free relationship. You need to know how to tolerate each other’s lapses, your partner is not always going to behave as you want him to, he is not a seer. Sometimes it’s just his habit to behave that way or it might be his weak point. Tolerate him but not for too long, you can call him and let him know how you feel about his weak points and help him work on it. Remember, never correct him by shouting, men have this ego that they can’t let go of, talk to him calmly and see him doing what you want. Learn to say sorry when you are wrong. We are all human beings, there is always a tendency for us to make mistakes and hurt each other’s feelings, but the good side of it is our ability to make our wrongs right by just apologizing. A single sorry can propel your relationship and make things better, its no big deal if you do it the right way. Just say sorry when you are wrong and see your relationship moving on a fast lane.